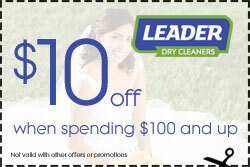 Please present one coupon to Leader Dry Cleaner per visit. 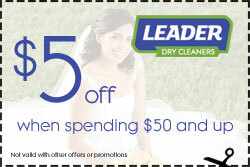 Coupon can be re-printed and be used before the expire date indicated on each coupon. 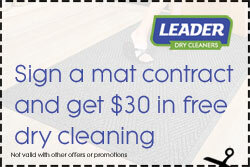 Click on any of the coupons to download a printable version.